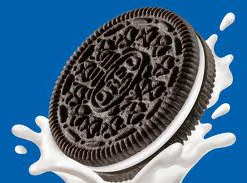 Last August I wrote about the theft of the $14 billion trade secret that allows DuPont to produce titanium oxide, the chemical that makes your Oreo Cookie filling (and scads of other products) bright white. According to Bloomberg News the man behind that incident, Walter Liew of California, was recently convicted for the crime. In total he was found guilty on 22 charges of economic espionage, trade secret theft, witness tampering and making false statements. A second man, ex-DuPont engineer Robert Maegerle, was also convicted on multiple counts. The case is the first conviction under the 1996 Economic Espionage Act. Now, I’m no math whiz, but if I crunch those numbers it seems like (...carry the seven, divide by the cosine of X plus half the hypotenuse) it took the Feds eighteen years to successfully prosecute a case under that law. If I were a corporate spy I’d be encouraged by that calculus. Think about it. The prosecution’s account of Mr. Liew’s case suggests he was inspired to commit the crime in 1991 when Chinese officials encouraged him to steal trade secrets that would benefit China’s economy. Liew acted on that encouragement in 2006 when he was contracted to help design a plant for Chinese chemical producer Pangang Group. A long time contractor for DuPont, Liew apparently used his access to DuPont’s intellectual property to inform his work with Pangang. DuPont only learned of the IP pilferage after a disgruntled former employee of Liew’s consulting company informed them of it following a termination. In other words, a trusted Liew insider blew the whistle on Liew who was aided in his crime by a DuPont trusted insider. And even then it took years before anyone knew. The message for aspiring corporate spies? Be more careful. But the message for companies who wish to protect their valuable intellectual property is the same: be more careful. Successful companies make precious investments in time, money and intellectual capital to innovate. Often the process requires collaboration with third parties, and while there is no silver bullet solution to the challenges of information security or the threat of the rogue insider, there are things that can be done to reduce those risks: take additional steps to guard access to the crown jewels; do a better job of vetting your employees and determining who should have access to classified information; be sure to review and revoke access immediately upon an employee’s change of status; encrypt data at rest and in transit. Know and look out for the warning signs that could signal an employee’s troubling change in behavior and tip you off to data theft. Good luck. And let us know if HoGo can help you.